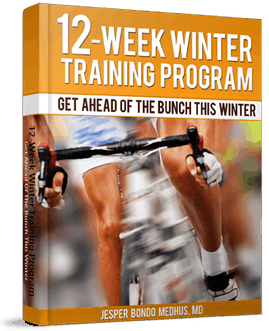 This program is an example of how you can plan the final 12 weeks before the race season begins. If you have been lazy during the winter, starting on this program might be a good chance to catch up. If you are able to do 8 to 12 hours per week training now without problems, there should be a good chance that this program will suit you. and I have to do one question. What the 1×10min AT means? Mystery AT? What if I don’t have 12 hours per week to train because of work? I am also new to this type of program. I have a Polar CS600 and can monitor heart rate, power and cadence. What should be my target for the rest of the ride once the set of intervals is done, for normal and easy ride? How should that evolve over the 12 weeks? You present good advice – but I’m a bit unclear what some of these symbols mean in the Thursday column of the third week. Could you explain it? Thanks. your work is amazing. please explain the question from the guy above, I’m also a little confused with the symbols but at the same time eager to do the trainning the correct way. This is a great program. I was wondering what the intensity should be for the time where you are not doing any specific workout. I am coming back from a surgery, so I like this plan to build my base and get back into shape. Do you recommend doing the vo2 booster program shortly after completing this program? Do you recommend to incorporate a form test at the beginning and end of the program? Tuesday week 8, you want me to do WHAT? 10 mins @ VO2 max??? And as for Thursday, week 12, 40 min @ VO2 max! Does this work I’m 16 and have a falcon road bike . And what’s recovery as in 1.5 hrs recovery . Im kinf of confused when you say…. In thursday of the first week it says .. 2.5 hr and 1×10 AT… what does that mean.?????? I’ve had a good break over the winter and I’m looking forward to getting back on the bike… thans for the programs. I’ll give it a shot. Dear sir, thanks for this blogspot, nice to read everything I can. My question is the following: What is the benefit of paying for the the PDF if you post here the training programs? what may I find in the PDF? are there Pictures or image shots on it? Please convince me, I am deeply interested. Bless. 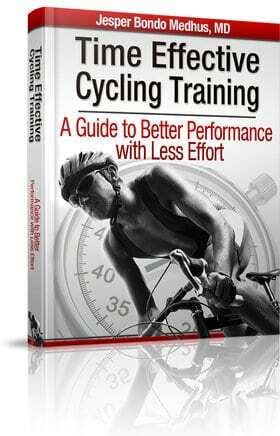 Time Effective Cycling Training is a collection of training tips and strategies to help you achieve better results with less effort. If you like what you find on my website, I promise you will not be disappointed to read my e-book. It also includes a full 16wk training program that can be used before a major event. I am interested in the 12 Week Pre-Season Training Program, as I have a race coming up at the beginning of June and I have been occupied with other things on the mind and wearing on the body… Where can I buy this training guide? Have I missed the link somewhere? I need training plans for a complete year? I have a question? beginner men & beginner woman are the same training plane doing?